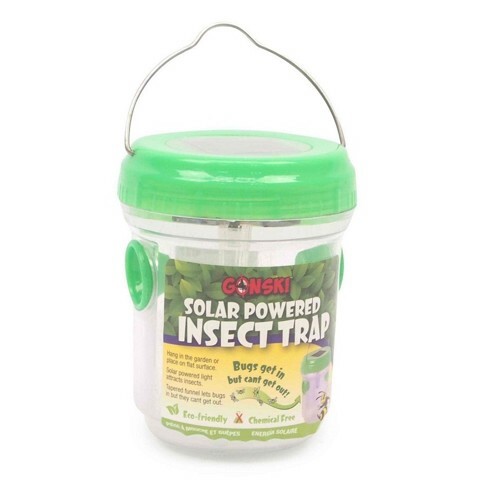 Insect Trap Solar Powered. 8cm(D) x 10.5cm(H). Green Lid with Clear Bottom. PP. 82G Packaging: Colour Sticker.